The transformation of the auditorium in the Charlottetown Centre into a performance hall would not have been possible without a significant gift from the late Florence Simmons, an alumna of the Prince of Wales College. Florence grew up in Charlottetown, and graduated with honours from the Teaching and Business programs at the Prince of Wales College at the age of 19. In those days, women’s employment options were limited, even for a Governor General’s award winner such as Florence. Teacher, nurse, or clerk were the paths many women followed, and Florence entered the work world as a clerk in an insurance company. Soon, she left the insurance company to work for the Bank of Nova Scotia in Charlottetown, where she stayed until her retirement 30 years later. Working at the bank may have paid her bills, but her love of music and the performing arts sustained her. Although Florence learned to play the piano as a young girl, it was some years later, at the behest of her church organist, that Florence began to play the pipe organ, eventually joining the Royal Canadian College of Organists and playing at weddings, funerals, community events and church services over the decades. Florence was also an accomplished artist. In addition to drawing and painting, she even took a silversmith course at Holland College and designed her own monogrammed brooch. The monogram has been used throughout the performance hall, on the ushers’ vests and on the music stand banners. 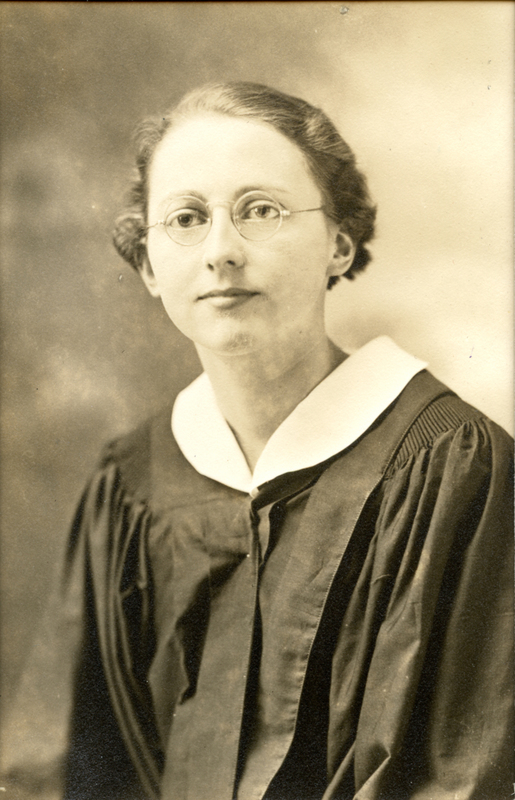 Toward the end of her life, as she prepared to enter a seniors’ home, Florence donated her piano and sheet music to Holland College’s School of Performing Arts. Knowing that her beloved instrument would be played and well-cared for brought her a great deal of comfort. She also arranged a gift in her will to support the construction of a performance hall at Holland College and establish the Florence Simmons Memorial Fund at the Holland College Foundation. Florence passed away in her 100th year on June 21, 2014. She was the daughter of the late George Louis Simmons and Catherine Murchison, and the last surviving member of the Simmons family of Simmons Farm on Spring Park Road. An unassuming but astute woman, Florence remained interested in all aspects of her community right up until the end of her life. Her philanthropy benefited many important causes and initiatives both during her life and following her passing. The naming of the Florence Simmons Performance Hall honours her life and her legacy.